Channel, claim England as his own and have himself crowned king. Oaths had been sworn to him and he considered the throne to be his by right. Yes: 800 years ago, not 950. For we are speaking not of William the Conqueror but rather of his great-great-grandson Louis, who invaded England in May 1216. A century and a half after the Norman conquest, he hoped to replicate his ancestor’s feat, but with one crucial difference: he had been invited to do so by the English barons themselves. That England should have reached the point where the most attractive candidate for the throne was the son and heir of the king of France might now seem incredible, but this is exactly what happened. Rewind to 1215, when King John was not a popular man. Forced by his long-suffering barons to agree to Magna Carta, he immediately reneged on his word and tried to have the document rescinded. His forces attacked and harried the lands of the signatories. Having failed to control John, the barons took a logical but unprecedented step and decided to overthrow him. But they were no republicans: England had to have a king. Who should it be? John’s son Henry was eight years old, and the other obvious heir, John’s nephew Arthur, had disappeared in mysterious circumstances some years before, widely rumoured to have been murdered at John’s order. The barons needed a strong man, an experienced man, a man of royal blood; they looked across the Channel and found one. 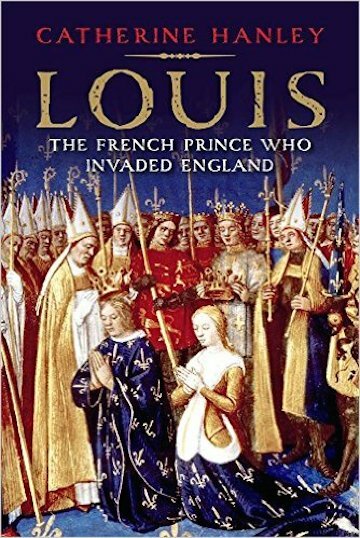 Louis had been born in 1187, the eldest son of the French king Philip Augustus; in 1200 he married Blanche of Castile, a granddaughter of Henry II of England and Eleanor of Aquitaine via their daughter Eleanor and her husband Alfonso VIII of Castile. King Philip had been in various states of conflict with Henry II and his sons for much of Louis’s life, and once Louis reached adulthood he joined his father in campaigns against King John. Father and son made large gains against the hapless English king, conquering Normandy and other territories which were geographically in France but which had been under English control for many years. By 1215 Louis had earned himself a reputation as a brilliant warrior, his skills honed not only in fighting the English but also in his crusade against the Albigensian heretics in the south of France. He was known, moreover, to be honest, just, moral and a man of his word – all the things which John was not. When the barons looked for a new king, they needed someone with royal blood: they could not just elect a monarch from among themselves. However, the preferred candidate did not need to be strictly the next heir; primogeniture was still a somewhat murky concept at the time, so someone related to the previous king and strong enough to claim and keep the throne would be a better prospect than someone nearer by blood but considered weaker. As well as being himself a direct descendant of William the Conqueror, Louis was married to John’s niece and so could claim a more recent blood connection to the English throne in right of his wife; he had the resources to mount a campaign, the men to run it and the skills to win it. And he had plenty of motive for wanting a kingdom of his own: in 1216 he was an active man of 28 with no prospect of becoming king in France for many years, thanks to his father’s robust health, so conquering a realm of his own must have seemed an attractive prospect. He built and equipped a fleet, sailed from France and arrived on English shores on 21 May 1216. To start with everything went smoothly: about half the barons came over to him straight away, and castles and towns surrendered to him without resistance. John fled to the west of England rather than fight him; there was to be no pivotal battle at Hastings or anywhere else. Louis marched in triumph to London where he was proclaimed king by cheering crowds as he rode through the streets; he sent out letters to all the remaining barons to tell them that they should come to pay him homage. Within months he had about two thirds of the nobility and more than half of the country under his control. But then in October 1216 John did the one and only thing which could conceivably have helped his cause: he died. One might think that this would have been Louis’s definitive moment of triumph; now that his enemy was gone, surely those who had still been clinging to John would realise that there was nothing left to fight for and would make their way to him? But in fact the opposite happened. John had left five children, two of them sons including the eldest, Henry, who was nine years old. The remaining royalists hastily had him crowned as Henry III and declared their allegiance to him. This left the other barons with a dilemma. Ostensibly they had overthrown John because of all the laws he had broken and the wrongs he had done – they could hardly level the same accusations against a young boy. And Louis, man of principle as he was, was turning out to be less controllable than they had hoped, and would probably not allow them the free rein they craved to further their own interests. Louis swiftly found himself being recast in popular opinion – no longer was he the conquering hero here to save the barons from the cruel John, but a foreign bully attacking a little boy. The desertions began. Louis was not one to give up easily, and he held out for quite some time afterwards. But King Philip, over in France, refused to send any more money or troops, so Louis had to make do with his own dwindling forces. In May 1217 he had to split his army in half in order to fight both at Dover and further north, but this did not leave him with enough men to function properly in either area. He failed to take Dover castle, and his northern forces were soundly defeated at Lincoln, many of his nobles captured and many of the English among them defecting back to Henry and his regent William Marshal. Meanwhile in France Louis’s wife Blanche was not taking ‘no’ for an answer from the king, and she had raised further troops who set sail for England in August 1217. But they were intercepted by an English fleet, defeated in a naval battle off Sandwich on 24 August, and never reached Louis. He bowed to the inevitable, sealed a treaty in September, and withdrew. Louis’s interregnum has often been overlooked in the history books, whose smooth succession of the dates of the reigns of kings runs straight from John to Henry III. But it was a pivotal period in English history and one of the great ‘what-ifs’ of all time. Would he have ruled England as a separate realm, or would it have been subsumed into France? What would have happened in the future? What about the Hundred Years’ War? Endless speculation is possible. 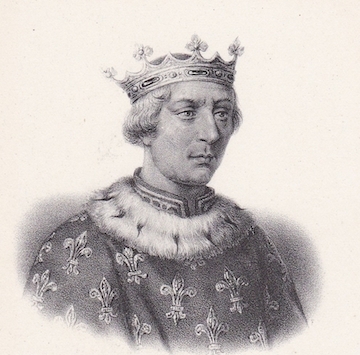 Defeated politically but not in battle, and with his reputation intact, Louis went back to France, where he was involved in a number of further military campaigns before succeeding to the throne in 1223 as Louis VIII. He then took some measure of revenge on the English by conquering much of what remained of their territory in France, before turning his attention to the Albigensians once more. By then he was almost invincible in military terms, sweeping all before him, but he contracted dysentery – a common disease among soldiers billeted in unsanitary conditions – and died suddenly in November 1226, at the age of 39. Louis was succeeded in France by his 12-year-old son Louis IX, who went on to become one of France’s great kings. Sandwiched as his short reign was between those of his famous father and his even more famous son, Louis VIII has often been overlooked in France; equally, he has been almost completely forgotten in England, destined forever to be the king nobody has ever heard of. Dr Catherine Hanley is a writer and researcher specialising the the High Middle Ages. Her new book, Louis: the French price who invaded England, in out now. Louis on campaign against King John in France, 1214. British Library.